Dark Mahogany Clam in Hoodsport, Washington (Bambans 2016). They are found throughout the world, come from many different taxonomic groups, and are introduced by a pathway, vector, or route (Olden 2017). 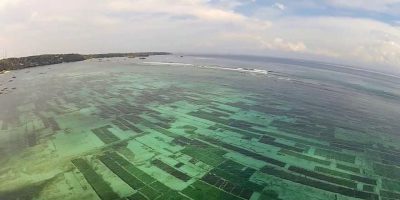 With a changing climate, growing human population, and increasing pressure on natural resources, many of us want to better understand the environment in which we live, but how can we gauge the health of an ecosystem – a marine ecosystem – at a glance? 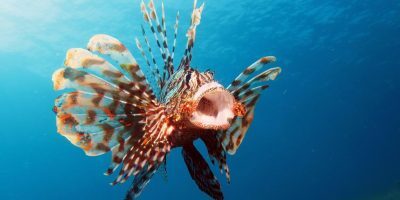 How do we know if these picturesque sea creatures are harmful to our environment? Well a simple glance won’t do. 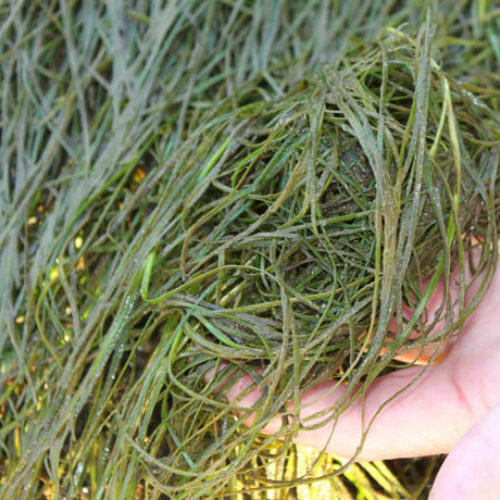 Let’s encourage the public to learn how to identify some of these aquatic invasive species to gain some big clues on ecosystem health and secure ecosystem services. 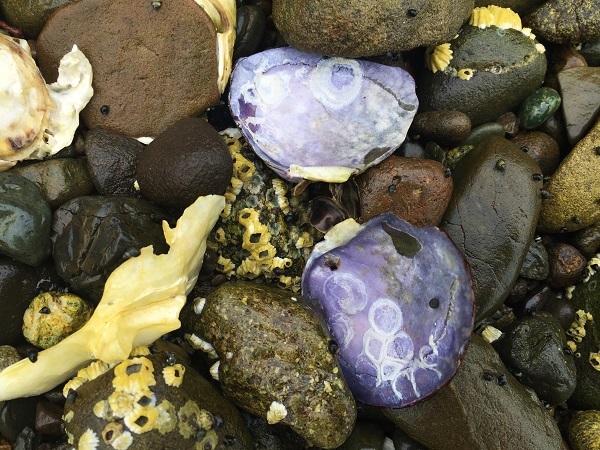 There are many resources both printed and online, to help you identify what type of biota you found on the beach. Photographs, collections, species drawings and interpretive signs are options for the “visual” learner. Research papers, pamphlets, websites and field guides can be used to aid in identification too. I’ve created a snapshot of Washington’s top 4 need-to-know invasive aquatic species. Identification of these most wanted can lead to quicker eradication, containment, or control of them. Description: 7cm, Oval, brown, white and purple shell. Believed to living nearby areas of freshwater seepage (Harbo 2011). Can live in areas without other clams nearby (Siegrist 2010). 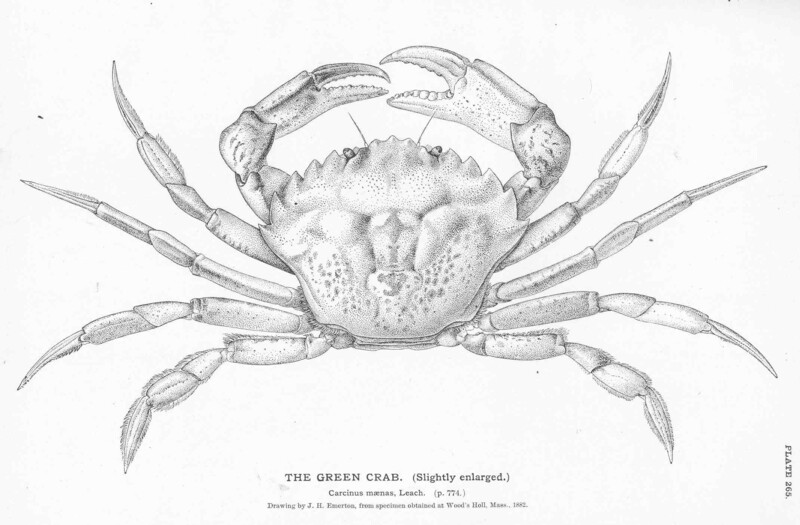 European Green Crab (Wikipedia Commons). Description: 9cm carapace, color variable, motted yellow-green. Believed to be all over Washington and very aggressive to shellfish and other crab (Harbo 2011). Japanese Eelgrass bed (Washington State Noxious Weed Control Board). Description: Green leaves can be 40cm long. 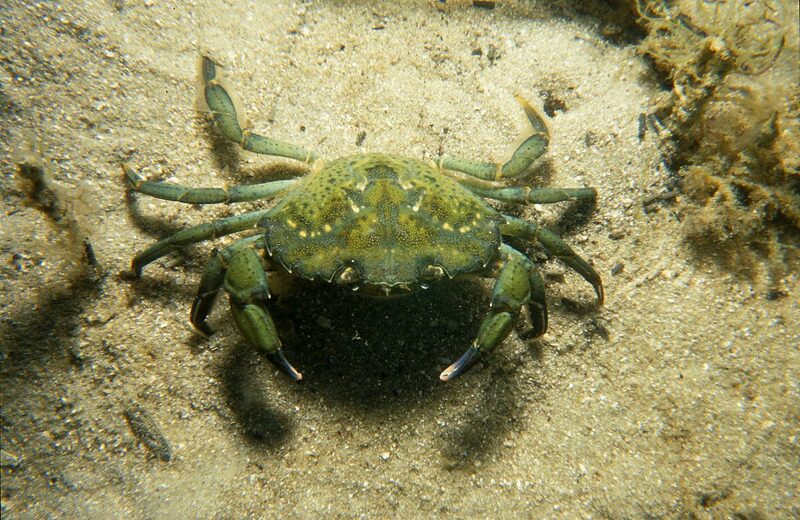 Believed to be hiding in the mid-intertidal zone or sand mud bays (Harbo 2011). Causes havoc to shellfish growers (Patten 2014). Smooth Cordgrass (Natural Resources Conservation Service). 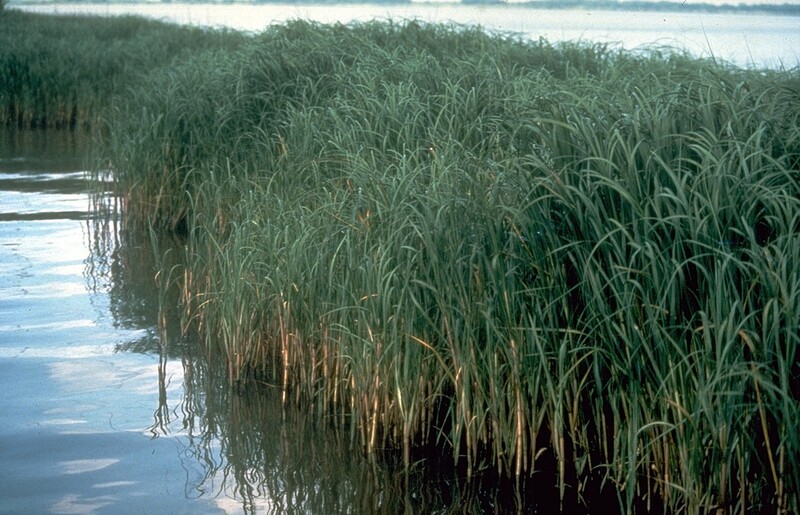 Description: Cordgrass grows up to 5ft and dies down in the winter. Believed to be forming large stands and outcompeting native habitat (Washington Invasive Species Council 2009). By keeping an eye out for invasive species, we can tackle invasions before they have a chance to disrupt food webs and our communities, and help mediate damage after they are established. When we use tools to identify, record, and report invasive species while we are exploring our environment, the community at large is better prepared to understand species invasion and ecosystem health. Ongoing research can also continue, documenting the recreational, regulating, provisioning and cultural services that healthy native ecosystems provide to our communities. Report invasive species sightings to Washington State Invasive Species Council here. *The number order of the species listed is not by order of concern. 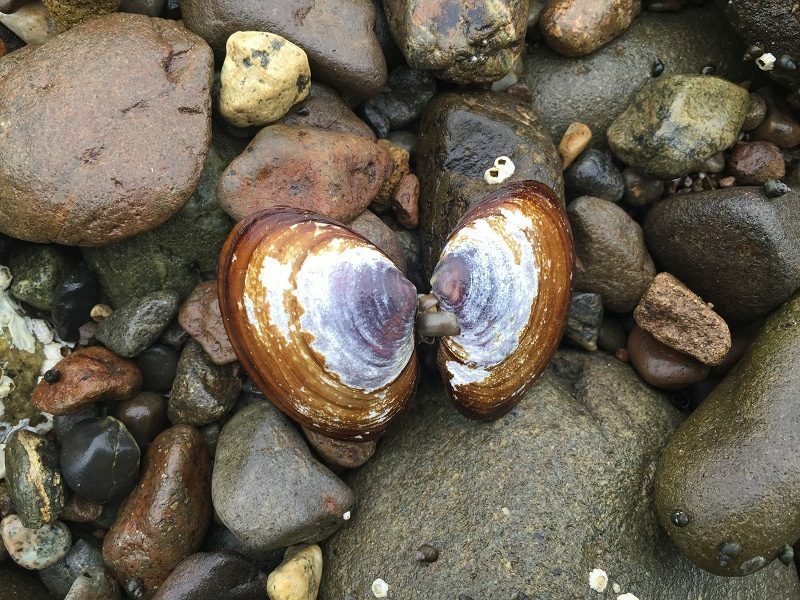 **Although Zebra (Dreissena polymorpha) and Quagga Mussels (D. bugensis) are potential invaders, they were not included in this list because they have yet to invade in Washington. For more information on the species above, click the hyperlinks for each scientific name and the references provided below. Druehl, L. 2000. Pacific Seaweeds. Harbour Publishing Co: British Columbia, Canada. Harbo, R. 2011. Whelks to Whales. Harbour Publishing Co: British Columbia, Canada. Olden, J. 2017. Aquatic Invasion Ecology Lecture: The Invasion Process. University of Washington, Seattle. Siegrist, Z. 2010. Broad physiological tolerances of the invasive clam Nuttallia obscurata. Western Washington University. 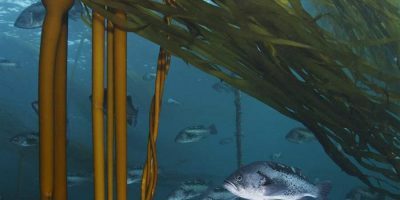 Marina Bambans is a Senior at the University of Washington, Seattle, obtaining a Bachelors of Science in Environmental Science and minor in Aquatics and Fisheries Science. She works as a Horticulturalist, specializing in plant selection for northwest terrestrial and aquatic gardens.